Clean, fresh-scented, germ-free and properly stocked restrooms are a must in today’s day and age. And just like a clean and well-stocked restroom can potentially reflect positively on your facility and organization, a dirty restroom which is running short on supplies can also lead a building occupant or visitor to think negatively about a facility and organization. According to a recent survey of educational facilities, 65% of the respondents said that the cleanliness of the restrooms influenced their perception of the school. And another survey found that 86% of the respondents associated the cleanliness of the restrooms in a restaurant with the cleanliness of the kitchen. The goal of a clean and well-stocked “perfect” restroom can be achieved with proper routine maintenance, and by cleaning with products specifically designed for the surfaces and soils involved. 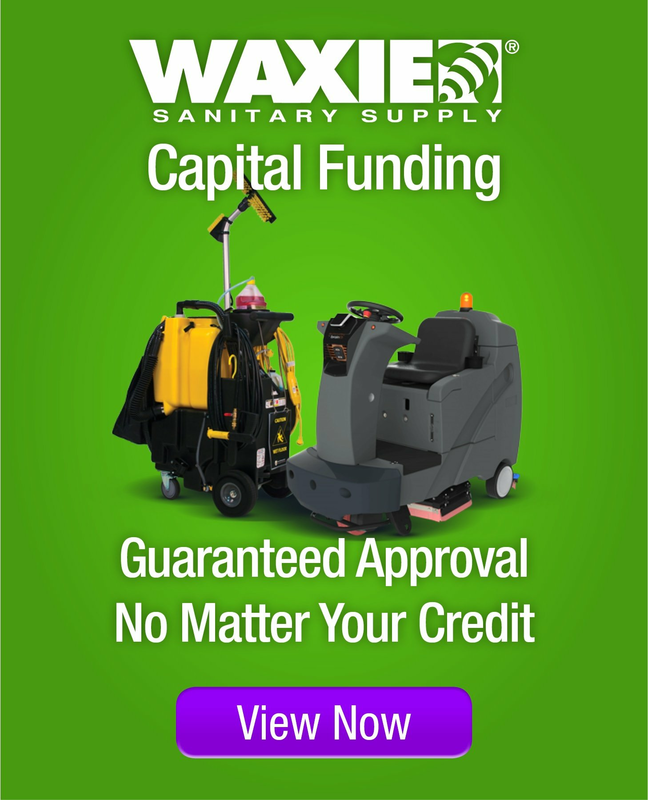 WAXIE’s proven products, combined with correctly following the procedures taught by our experienced Account Consultants will help you meet user expectations, keep your restrooms clean and sanitary, and project a positive image for your facility. WAXIE has the cleaning chemicals necessary to effectively clean the surfaces and soils typically found in a restroom. Everything from the fixtures – the sinks, toilets and urinals – to the countertops, mirrors, walls, partitions and floors can be addressed with the proven cleaning chemistry of WAXIE products. Using the right cleaning tools and equipment helps to ensure that restroom cleaning tasks are done effectively and efficiently. Whether the task is cleaning the floors or the fixtures, the right tool and right equipment can help to most effectively and efficiently clean and remove soils from the restroom. In addition, WAXIE also offers replacement fixtures such as paper and soap dispensers, auto-faucets and flushers, waterfree urinals, waste receptacles and liners, and partitions. One of the biggest challenges faced when maintaining a clean restroom is odor control. Typically odors in restrooms fall into one of two categories: unavoidable transient odors that can be addressed by an odor control system, and residual odors which originate from restroom surfaces or drains that can be addressed by cleaning procedures, bioactive products and/or drain maintenance products. While over 90% of people surveyed believe that hand washing is important after using the restroom, only 66% of the people actually do wash their hands each time they make a visit. A complete hand hygiene system – one which includes hand soap and hand towels, complemented with hand sanitizer – creates a positive hygienic environment and reinforces the perception of cleanliness in a restroom. In addition to all of the materials needed to have a clean restroom, WAXIE also provides the training on the proper techniques to achieve the best results. Whether it is instruction on daily restroom cleaning procedures or periodic deep cleaning procedures, the WAXIE FMP Online Training Modules provide time-tested and proven cleaning techniques in a format designed to engage the learner by providing text, pictures, video, interactive exercises and voiceover. Your WAXIE Account Consultant can provide additional information about the topics and techniques discussed here and make product and equipment recommendations for your specific requirements. Let us help you build your Restroom Care solution today!